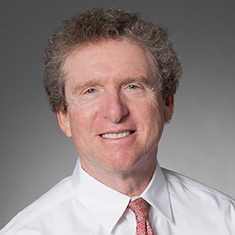 Fred M. Santo represents sponsors and investment managers of domestic and international hedge funds, commodity pools and other public and private pooled investment vehicles, as well as investment managers, family offices, brokers, investment professionals, financial intermediaries and other financial institutions. He provides counsel on Securities Exchange Commission (SEC) and Commodity Futures Trading Commission (CFTC) regulations, the Investment Company Act, the Investment Advisers Act, the Employee Retirement Income Security Act (ERISA), broker-dealer regulation and taxes. In addition, he has extensive experience with commodity pool operator (CPO) and commodity trading advisor (CTA) registration and compliance requirements and detailed knowledge of financial legislation including the Dodd-Frank Act. Fred is also a member of the firm's Board of Directors. Fred has been described as being “as good as they come” (Legal 500). He is a frequent lecturer and author on topics of interest to the financial services industry, including securities and futures regulations affecting domestic and offshore private investment vehicles. Fred previously served as national co-head of Katten's Financial Services practice. Prior to joining the firm, he was a senior attorney in the SEC’s Division of Corporate Finance and assistant general counsel to the CFTC. He began his career as a law clerk to the chief judge of the District of Columbia Court of Appeals. Shown below is a selection of Fred’s engagements.